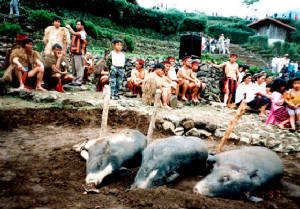 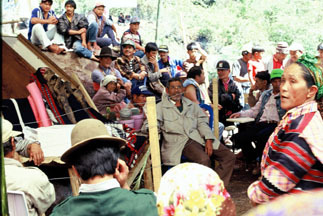 Populated mostly by Kankanaeys, Ibalois, Kalanguyas and migrants from the lowlands, Benguet is composed of 13 municipalities and 140 barangays. 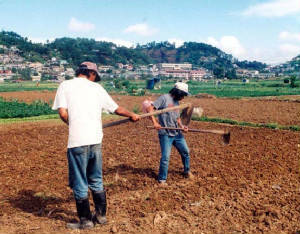 The province's municipalities are: Atok, Bakun, Bokod, Buguias, Itogon, Kabayan, Kapangan, Kibungan, La Trinidad, Mankayan, Sablan, Tuba and Tublay. 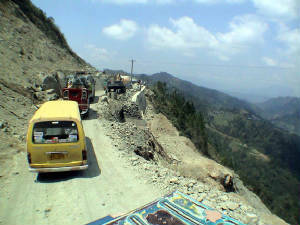 Photo shows a stretch of the Halsema Highway in Atok undergoing a major repair. 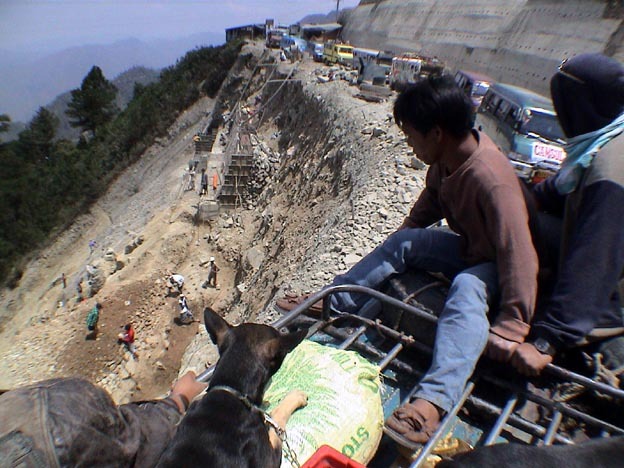 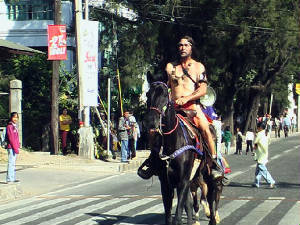 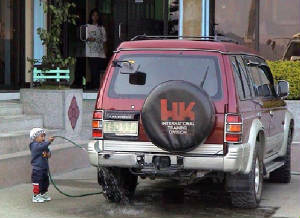 This road is a major artery that connects Baguio City to other Provinces in the Cordillera. 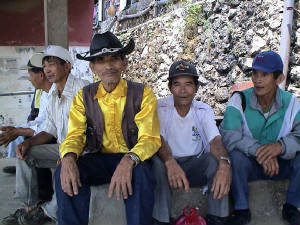 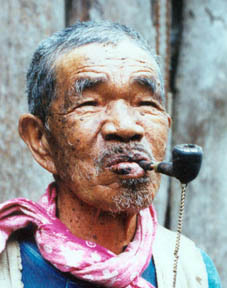 It's not certain whether which tribe this man comes from but he definitely stands out among Benguet cowboys. 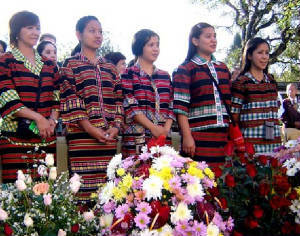 The search is over, Apo Anno is back to his original resting place in Sitio Nabalikong, Buguias Benguet. 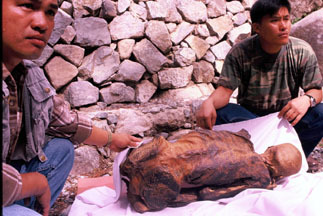 The mummy of Apo Anno was believed to have been stolen from his cave and sold to different handlers until he eventually landed and stayed at the National Museum in Manila for fifteen years.